It’s no secret that we here at Horse Illustrated HQ are big fans of the bond between horses and other animals. 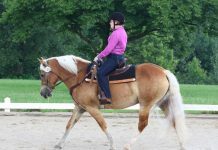 But this dog-and-horse video might be one of the cutest that we’ve featured. Who hasn’t met a dog who will do anything for a belly rub? This one is even optimistic when he feels the scratching of little hooves. Google Translate tells us the title given to this video means “Dog Overpowered.” Seems accurate. Belly rubs are clearly this pup’s kryptonite. 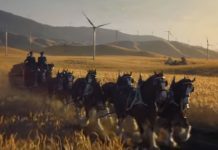 A playful pup starts a game of keep-away with a foal in this featured video. Three straight minutes of a pit bull puppy named Herbie and a Standardbred gelding named Jabbie loving on each other. 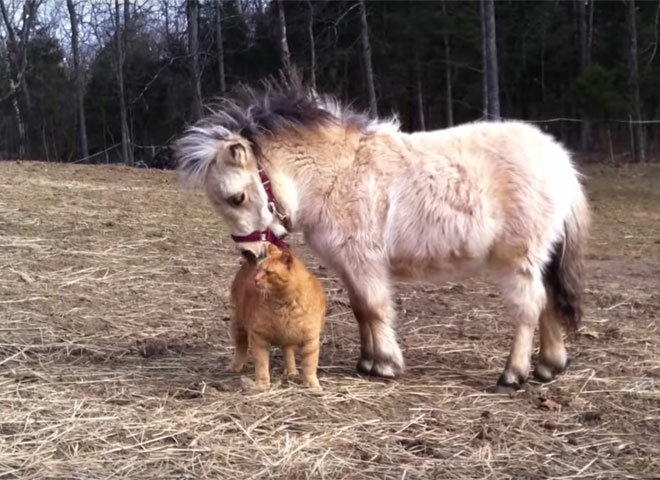 Witness the adorable friendship between a very small horse and a rather large cat. 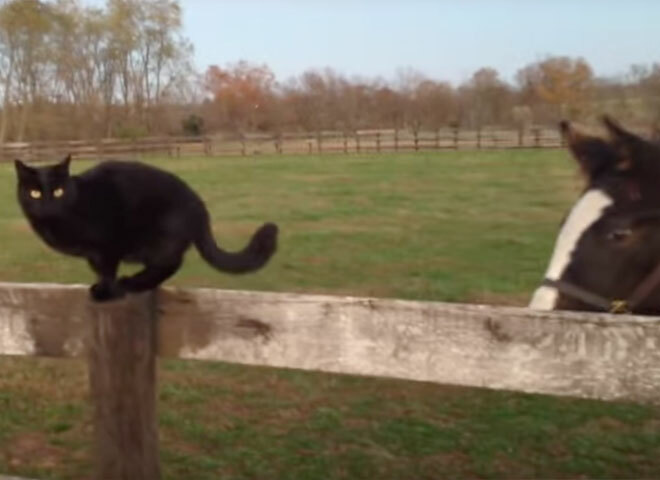 A group of young horses aren’t quite sure what to make of the barn cat in their pasture. This foal is a real cutie pie but it’s the dog that melted my heart! What a pair! What a cute pair! And who says Pit Bulls are mean, this guy is a mush with that little stud colt mini! I’m not sure which is cuter, the foal or the dog! Both have great temperaments. How wow, how got a temperament on that pit bull! That little stud colt is a little ruff with his mouth!